The time that is the ending of one year and the beginning of another is often used for reflection and projection. What happened in the past year that was great and should be continued? What did you do that wasn't great for your life and should be changed? This year, be sure to spend some time thinking about your health as you go through this reflection and projection process. Here are some ways to make your health a priority in 2019. Giving up sugar and processed foods is one of the best things that most of us could do for our health. Many Americans eat far too much sugar, and it has negative effects on our health, both physical and emotional. Sugar has a negative effect on the health of a person's gut flora, which creates devastating and far-reaching problems in a person's body. Learn more here: "How to Give up Sugar: A Step-By-Step Guide." Too much stress takes a devastating toll on a person's health. In today's fast-paced, stress-stuffed world, it's imperative that we each spend time developing ways to relieve our own stress on a regular basis. Visit DeStress.com to learn about a large variety of destressing techniques. Choose at least one that seems right for you and resolve to learn how to apply it to your life in the coming year. It's easy to put off visiting the doctor, especially if you aren't having any overt problems. But having a wellness exam done yearly and following through on any testing that your doctor recommends is crucial in maintaining good health. Your doctor will discuss common problems for people in your age bracket and lifestyle, do a complete exam, and recommend supplements for your unique conditions. The power of spending time outdoors can't be denied. Fresh air, sunshine to help you make vitamin D, and seeing new people and things is great for your mind and your body. Consider taking up a hobby that occurs outside for 2018. Your health can suffer if your close relationships aren't healthy. It's easy to put off cultivating your connections during the hustle and bustle of everyday life, and sometimes it needs to be scheduled in to be sure it isn't overlooked. Make sure you are checking in with your loved ones on a daily basis, planning electronic-free time to spend doing fun things with them, and telling them you love them. Make a goal to read a few books on various health topics in the coming year. Choose a good variety, and be sure to pick some that focus on things you know nothing about and are maybe even a little bit outside of what you normally practice. Even if you take just one thing from each reading that you can do differently to improve your long-term health, it will be worth it. Don't plan so many resolutions into your new year that you end up forgoing sleep. Not getting enough sleep or getting consistently poor quality sleep both have significant negative effects on many aspects of your health. If you aren't getting good sleep or enough of it, that should be your first priority in 2019: working on getting better rest. Make a plan to change your bedtime routine. Eliminate electronics for two hours before bed, add yoga or meditation to your evening, and go to bed early enough so that you aren't cutting your nights too short. You can learn more here: "14 Surprising Benefits of Sleep," and "Getting Back to Sleep: 14 Tips for Falling Back to Sleep When You Wake up Too Soon." 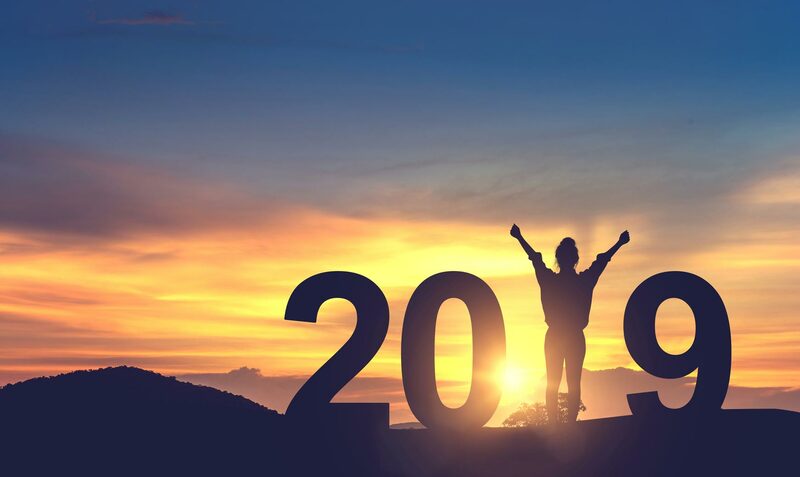 As you're considering whether to make New Year's resolutions and how to best follow through with them, take a look at this article for tips: "Set Attainable New Year's Resolutions."